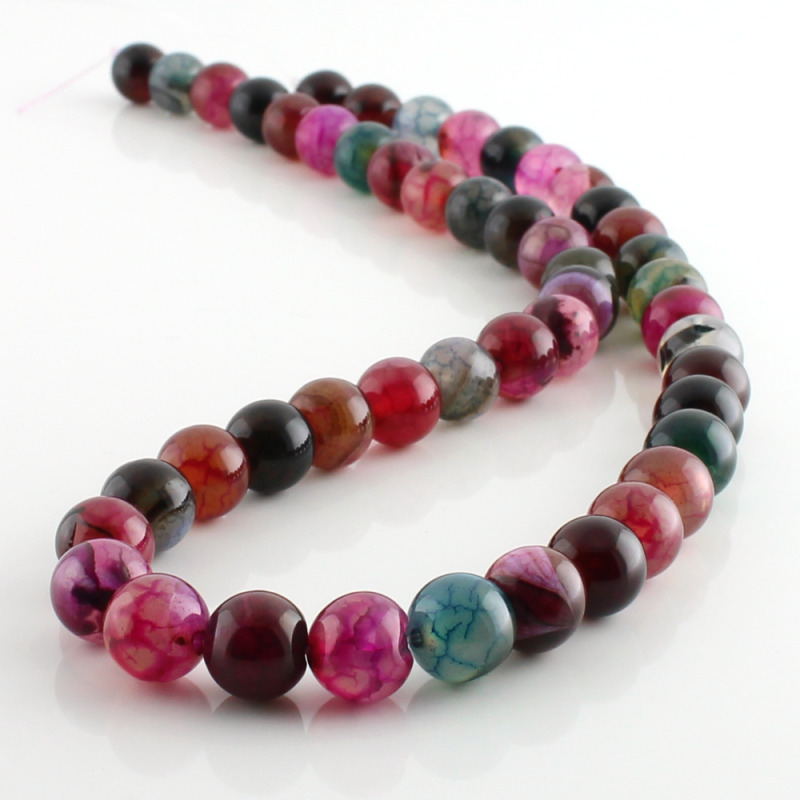 Dragon agate round beads holed and strung into strands about 40 cm. 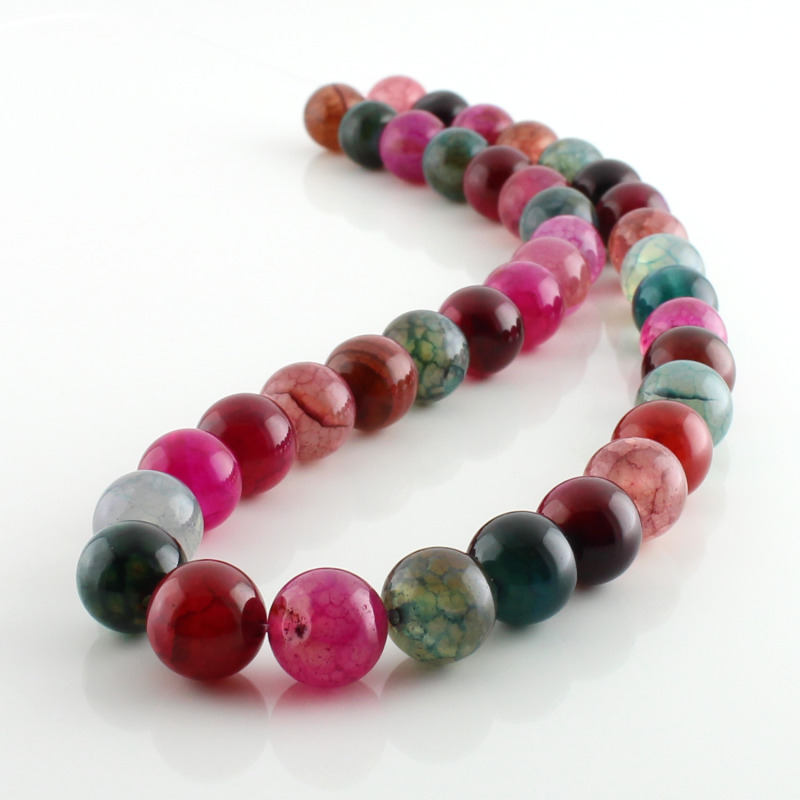 Dragon agate beads are available in 2 sizes. 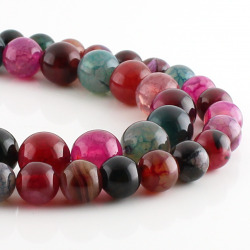 In this option, each strand has a nice mix of colors. This semi-precious gemstone has a dragon skin appearance due to its crackled appearance. Natural cracks are enhanced with dragon agate dyeing, forming a nice drawing with Gothic style.